Charleston is a beautiful Oceanside city located in South Carolina, and it's a city that's certainly worth exploring whether you're a tourist or a local. It’s a city known for it’s rich history, well preserved architecture, top notch restaurants, varied night life, and friendly residents. It’s a major hub for tourism in the area due to it’s location on the Atlantic, culture, and festive annual events. The perfect place to take a Charleston Limo in style. Whether you’re into nature, the night life scene, or you’re a history buff, you’re bound to have a great time in Charleston. With all of these things to do and see in Charleston, it only makes sense to rent professional transportation so that you can experience it all in one night with convenient amenities and a top notch chauffeur. Charleston Party Buses is your go-to company in the area when you’re looking for transportation for a large group of people in the area. 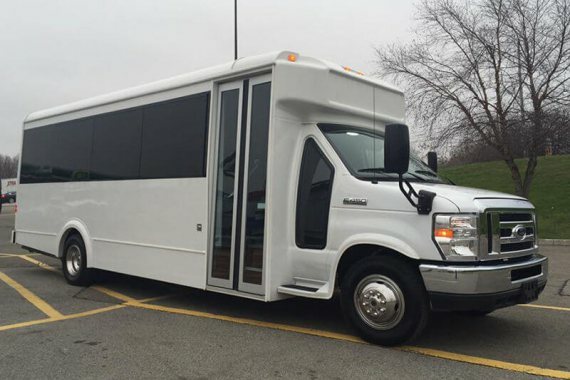 With our diverse fleet of party buses to choose from, and all of the amenities that can be found on board, it's safe to say that the options for fun are limitless with us. We have the experience to accommodate all itineraries and events, as we’ve dealt with them all! Whether you're planning something spontaneous, or a major life milestone, we'll be there on time and in style. Our booking agents are always on the other side of the phone ready to answer your questions and expedite the booking process. Our vehicles are the cleanest and the most luxurious that you will find in this area. Since we don't allow smoking in any of our vehicles and we clean them from top to bottom after every trip, they always smell so fresh and clean and are the perfect environment in which to travel and have fun with your friends. Our buses are the safest too, since we inspect them on a strict schedule and keep them maintained in like-new condition. They are also insured to the fullest extent, so your mind can be completely at ease when you are traveling with us! Drinking on the road is one of the perks of choosing us! If you're traveling in your own vehicle, that is of course illegal, but with us you can drink up and have a good time because you've got a professional chauffeur at the wheel! Not only are you allowed to drink on board if you are of legal drinking age, but you are welcome to stock our built-in bars with whatever drinks you like! We provide the ice and cups, and you bring the liquors and the mixers, or the beer, or the bottled cocktails... whatever you prefer! You can play bartender into the wee hours and treat your friends to a better experience than you'll find at any bar! 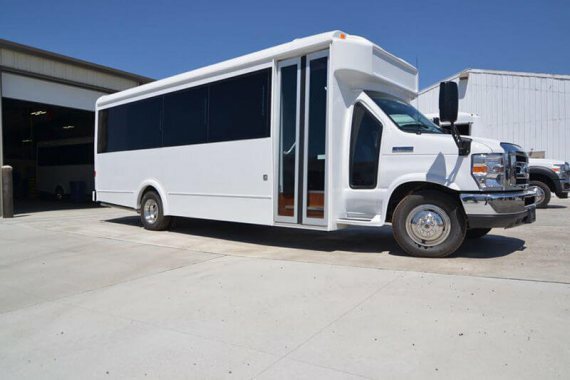 If you're thinking about getting in touch with Charleston Party Bus to plan your upcoming trip, there are just a few things that we will need to know. One is when your event is. There are times of the year that are intensely busy for us and we'll need to make sure that we can prioritize that day just for you. Next is how many people you will be expecting. we've got to choose a vehicle that is the appropriate size and that also has all the features that you require. Finally, we'll need to know what your destinations are. There are not many limits to where we can go, but if you want an idea of our general service area, we've got a page dedicated to just that. If you need to book multiple buses for really large events like weddings, professional events, and proms, we will be happy to work with you to do this! Some parties need a fleet of similar buses and others want some larger and some smaller, or any combination of vehicles with specific features that they are after. Our office staff knows how to plan the ideal party travel or corporate travel for you, and we're very experienced at putting together larger parties like this. Simply give us a call with all the details of your party and we will do all the work. Finally, we want to let you know that there are no hidden fees when you're traveling with us. Many other local companies will hit you with unexpected upcharges when your trip is over, claiming that you traveled outside of their regular service area or that there is an extra fee for bringing alcohol on board. Some will even stick you with cleaning fees when you left the bus in the same pristine condition that it was presented to you in! You don't hve to worry about any of that with us. Every possible charge is fully disclosed in the contract that you will sign. The only fees that exist are for going over your reserved time or for damaging the vehicle. It's that simple and clear-cut. Aside from our stylish vehicles and exemplary Charleston Limousine transportation, we're also known for our fantastic customer service. One of the best parts about our company is the fact that we're always available for you to contact, whether it's something as little as a question, or if you're ready to begin the reservation process. Are you ready to begin your booking? Do you need to learn more about our services and vehicles? All you have to do is give us a call or shoot us an email at your earliest convenience! We look forward to providing you service. We also look forward to helping you with your trips outside of South Caroline. We have great Las Vegas and Denver companies to recommend. Copyright © 2017 | www.CharlestonPartyBuses.com | All Rights Reserved.